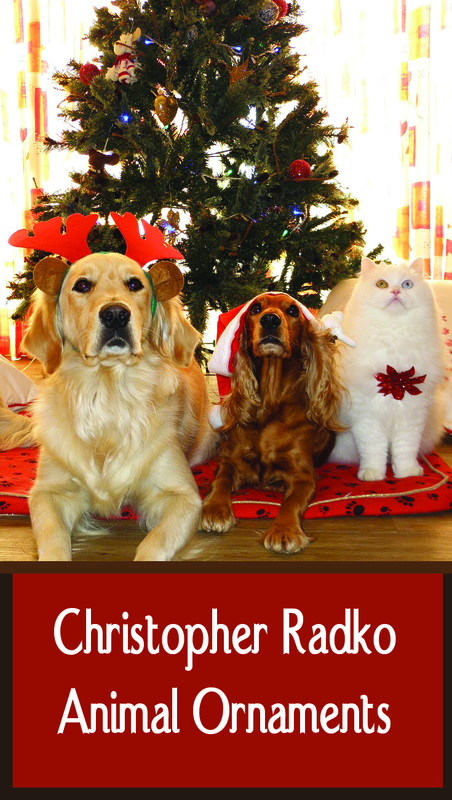 All of the Radko ornaments are beautiful but if you like animals, chances are you’ll really like the Christopher Radko animal ornaments. There are some more unusual ornaments such as a hedgehog, a giraffe, a camel, and an owl, and you’ll also find the more commonplace animals like dogs and cats. Radko ornaments are made in Europe in the traditional Old World style, and that’s why they have a luminescence to them. They are mouth blown and lined with silver. 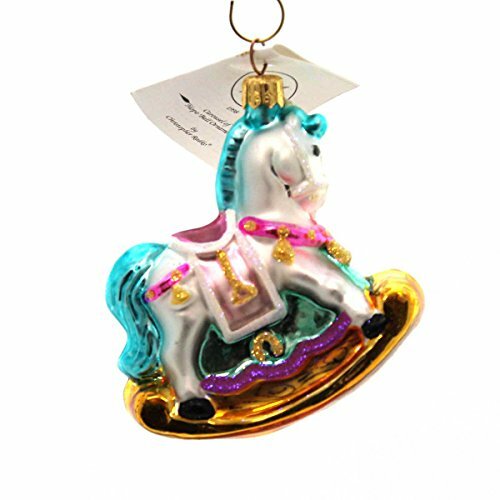 This beautiful rocking horse is a great example of the vibrant colors and great design of the Radko Christmas ornaments. Christopher Radko ornaments make wonderful gifts as they are heirloom quality and will be treasured from generation to generation. Radko ornaments often go up in value as they are retired after one season. Beautiful, like all Radko ornaments, these cat and dog ornaments will be loved and treasured. There are cute cats and dogs in Christmas stockings and Santas cuddling adorable pets. They’ll make pretty gifts for cat or dog lovers or they’ll look wonderful on your own tree. More Christopher Radko animal ornament including some new ones for 2016, the Year of the Monkey. Choose from baby penquins, a unique hedgehog, a gorgeous owl, or a cute octopus!